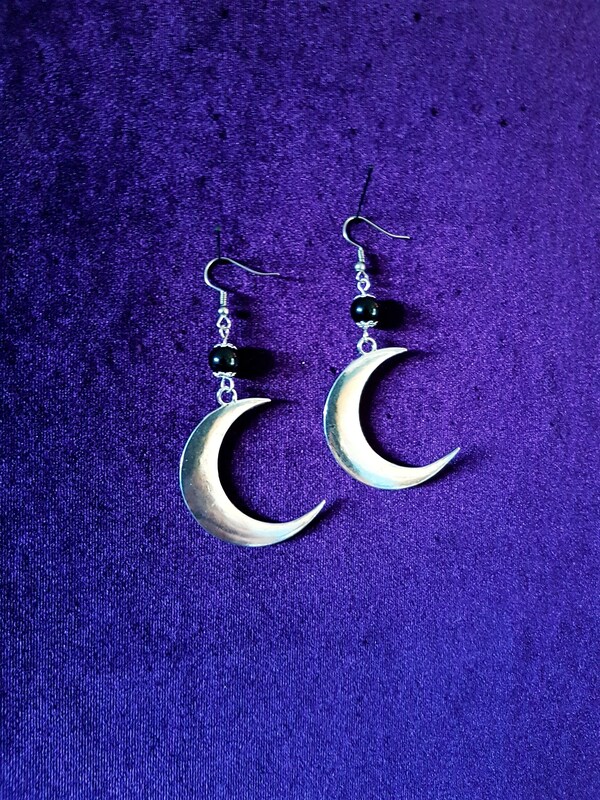 Beautiful Earrings with a Crescent Moon and a Black Obsidian Gemstone bead. 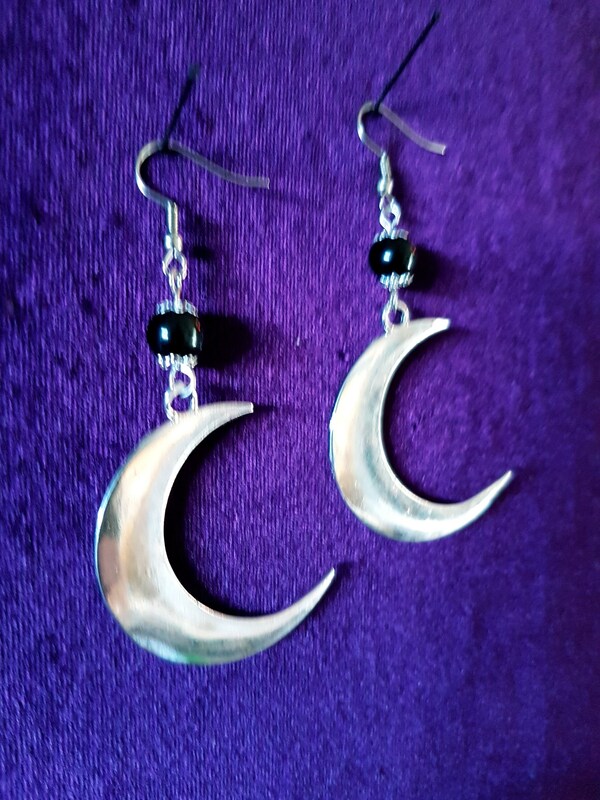 6 cm long Antique silver colour earrings. 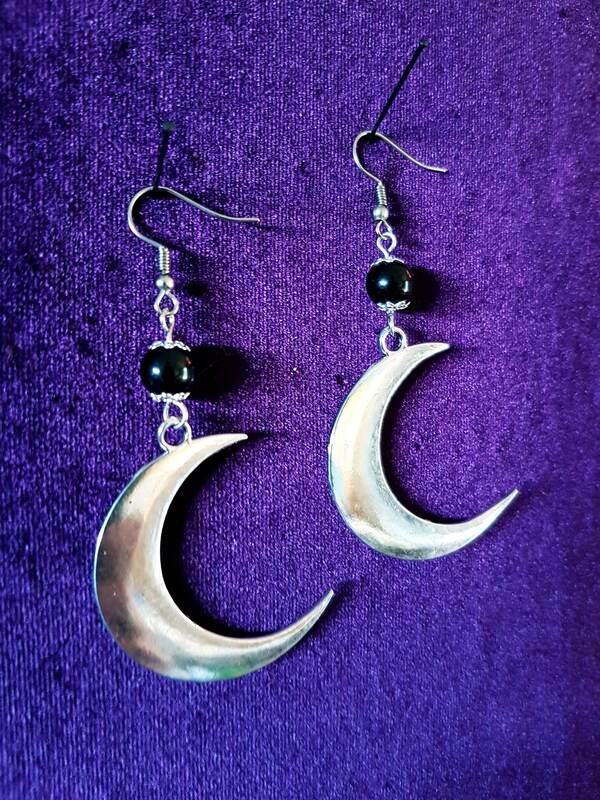 Very beautiful earrings. I love them so much. Thank you!